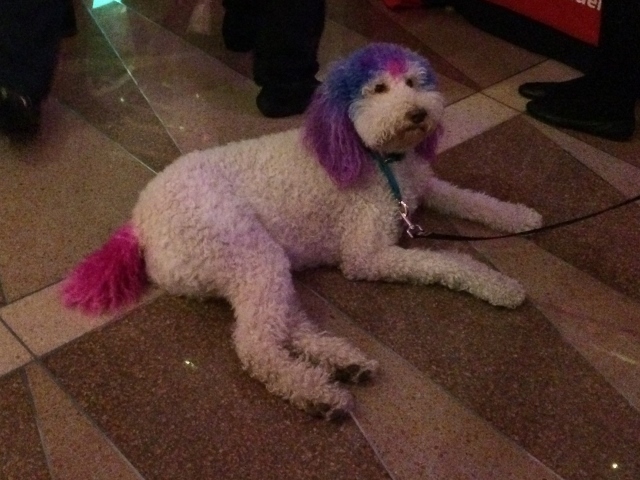 The Sugar and Champagne Affair is an annual fundraiser benefiting the Washington Humane Society and features the work of D.C.'s finest pastry chefs. Last week, I had the privilege of attending A Sugar and Champagne Affair, an annual fundraiser hosted by Ellen Kassoff Gray and Todd Gray benefiting the Washington Humane Society. 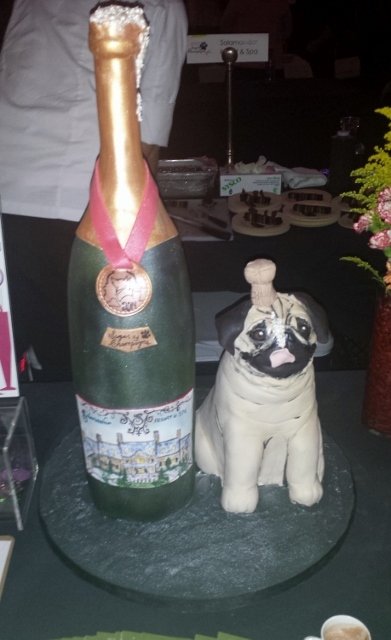 A reception benefit in honor of our local crusaders against animal cruelty, Sugar and Champagne showcases the D.C. area’s most talented pastry chefs. The VIP section, where I made myself comfortable, also featured savory bites crafted by the capital’s finest chefs. 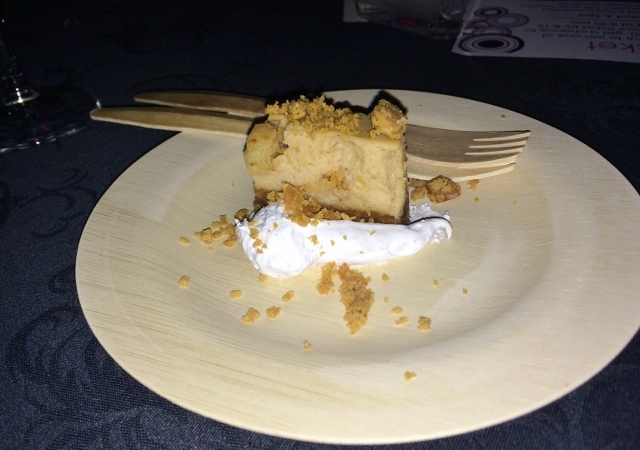 I am a nut for peanut butter, so there could not have been a dessert more made for me. For my fellow peanut butter enthusiasts, this dessert was an assembly of butterfinger crumble, peanut butter mousse and marshmallow fluff, all homemade. My cheat sheet: take a butterfinger, slather on some peanut butter, add a dollop of marshmallow fluff and attack. 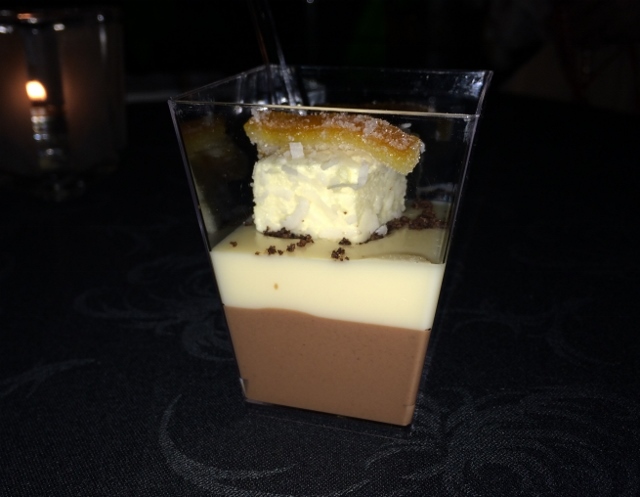 Not gonna lie, I had no idea what panna cotta was when the pastry chef handed me a taste. After some research, it appears to be a hybrid of pudding and Jell-O. While that sounds gross, I assure you that this dessert was not. And the ancho chili added just the right amount of heat to take this dessert to the next level. Disclaimer: Mixing pudding and Jell-O will not achieve desired results. 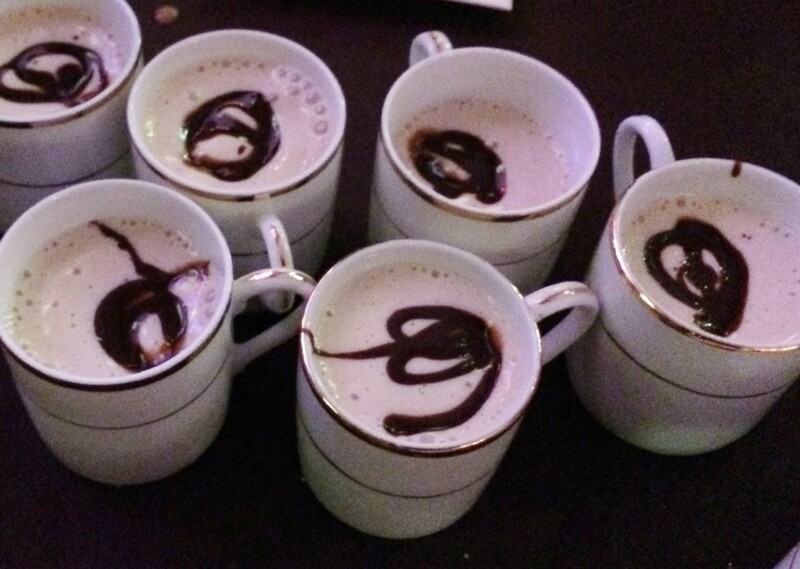 We’ve all heard of the classic mudslide, but this chef went above and beyond. She combined coconut milk ice cream with Kahlua, Vodka and Chocolate Sauce. Hands down the best milkshake I have ever had. This one’s pretty easy to do at home, although the chefs probably used homemade ice cream for it. Note that the recipe calls for coconut milk ice cream, not coconut ice cream. Using regular coconut would probably make the flavor too strong. Try using vanilla ice cream and add a splash of coconut milk to get the flavor. This may have been the highlight of the night for me. He made the bread pudding with croissants so it was amazingly buttery and light, and the apples inside were icing on the cake, not to mention there was actual icing — that plastic tube is filled with a vanilla sauce for topping. 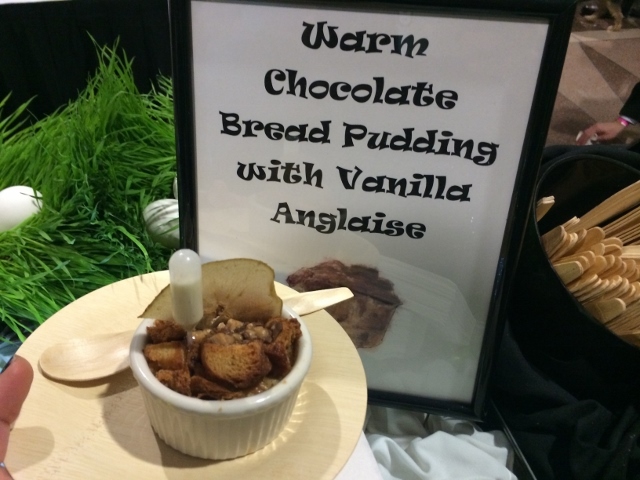 I almost went for seconds on this one — and the serving was pretty generous! Likely the fanciest brownie I will ever eat, the champagne anglaise was sweet genius. Not only was the brownie moist and perfectly chocolatey, the cream on top was to die for. My hack: try adding a splash of espresso to a box of brownies (coffee brings out the flavor of chocolate), mix some champagne into ready-made frosting, and viola. 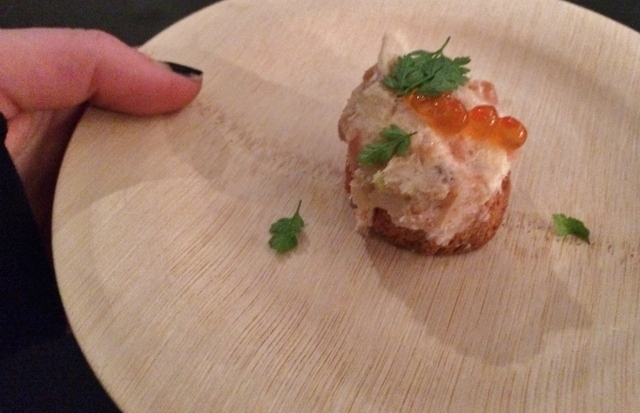 In layman’s terms, this is a cracker topped with smoked salmon mousse and caviar. I’d suggest putting lox (a filet of brined salmon) on Ritz crackers, but that would simply not do this dish justice. Fun fact: this masterpiece was the work of Spike Mendelsohn (Top Chef, Season Four finalist)–I may have had a brief fan-girl moment. 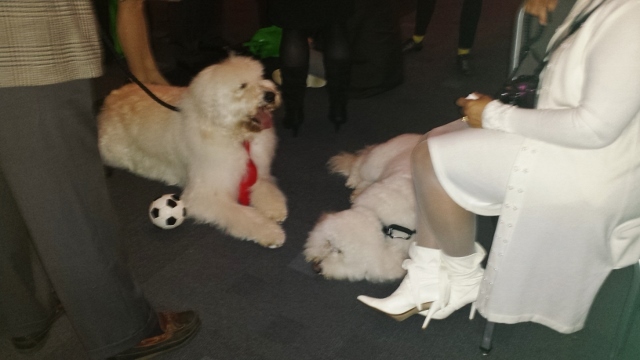 Oh, and did I mention people brought their dogs? 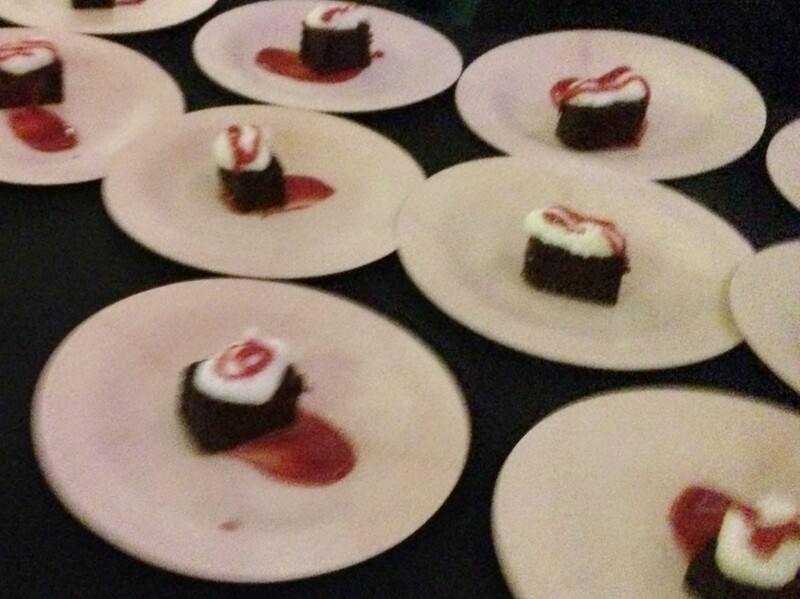 It was an evening of endless desserts, countless wine tastings and lovable dogs, all for a great cause. 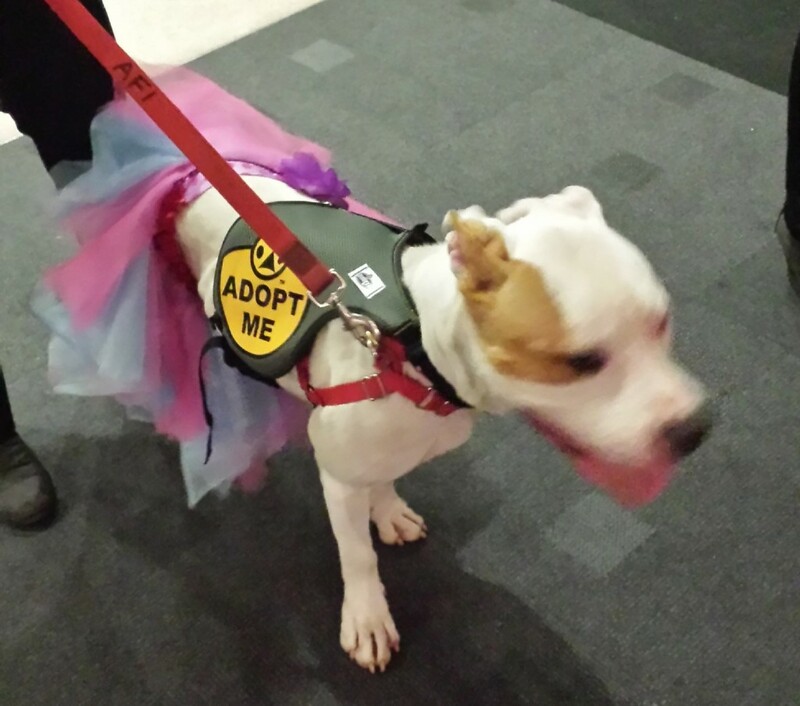 Interested in volunteering for The Washington Humane Society? Visit www.washhumane.org for more info.